It has become a common thing when most people especially women want to slim-bodied so they try to do diet and exercise to get an ideal body shape. The problem of obesity and excess fat in some parts of the body is indeed a problem for some people. But behind all that, there are also some people who also make their thin bodies a problem. Indeed there are people who have a skinny body type although he much packed though, it will not be easy fat. Slim body does indeed become the dream of every individual, but what if it is too thin? Do you have a skinny body type and hard fat? This time we'll be sharing information about how to raise a healthy weight and true. By following these tips, we hope you not underweight again and soon could get a proportionate body. If you really want to make your body more full, it's a good idea to increase the frequency of eating and snacking. With lots of food, then you can add calories to your food intake. Try to eat six times per day where every single serving of food contains protein, fat, vegetables and flour. Chicken sandwiches using wheat bread and fruit smoothies are examples of healthy foods that you can consume. When you want to gain weight, focus on staying healthy. Increasing unhealthy eating such as junk food and fatty foods can indeed increase your weight but these foods have a negative effect on your body's health. To stay healthy and your body become fuller, you should choose healthy foods. All you need is to add good carbohydrate and fat consumption. The source of carbohydrates that you eat should also not only be from fruits and vegetables, but also eat rice, bread, sweet potatoes, and oats. These foods have complex carbohydrate content that can help you gain weight easily. Carbohydrates are needed to produce energy when you are exercising heavily. Then make sure you increase your intake of carbohydrate foods. In addition, the high fat content of the food is good you should not miss. Good fats are used by the body to produce energy, digesting certain vitamins, maintain brain function and as a cushion for some of the vital organs of the body. But you should also carefully choose foods that contain fat. Good fats you can get at the dried fruits, peanut butter, avocado, sunflower seeds, olive oil, meat, and cheese. The quality of a good night's sleep is the key factor to get the desired body weight with healthy and correct way. You need enough sleep time after exercising. While sleeping, the damaged muscle cells will repair themselves and shall prepare for sports activities in the next day. In addition, hormone development occurs when sleeping. That's what hormones help add muscle mass. Body weight goes up must also due to increased muscle mass. You can add muscle mass you with lot of food or snacks that are rich in protein. The function of the protein here is helping raise the muscle mass you so was instrumental in adding to the weight. Some protein-rich foods that you can eat is a boiled soy beans, tuna, chicken, peanuts, and the steak meat. To maximize weight and increase your muscle size, all you need is proper exercise. Weight lifting is a sport that is very suitable for gaining weight because this type of exercise exercises muscle strength and muscle formation. But there is also a sport that you need to avoid like aerobics and run remotely. Aerobics can burn a lot of calories in your body, so that makes you fail to raise a weight. If you want to run, make sure that only run a short distance. It was not hard to put on weight as long as the food we eat is nutritious and high nutritious vegetables. 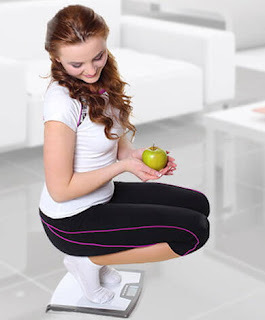 By following these tips, you can certainly get a desired ideal body shape women. Good luck.